I have been in touch with the cousin of LT Lawrence D Greene. He has a son named after the former Charlie Company Commander. He would enjoy hearing from anyone who remembers his cousin. 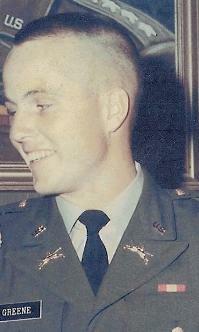 LT Greene left us for Vietnam from Fort Hood, Texas. He was later killed while with the 173rd Airborne Brigade. He is burried in Arlington National Cemetery. Contact me if you would like to be in touch with LT Greene's cousin.